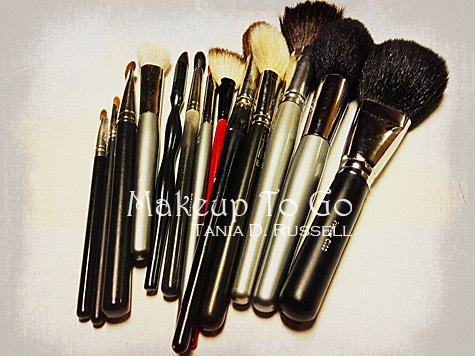 #MakeupMonday – The Basics – Makeup Brushes | Makeup to Go! Returning to our series The Basics, I decided to write about makeup brushes. I would say in my private lessons/teaching this is the item I’m asked about third/fourth most often (behind mascara, foundation and concealer). For makeup artists, however, this is the A-#1 priority. 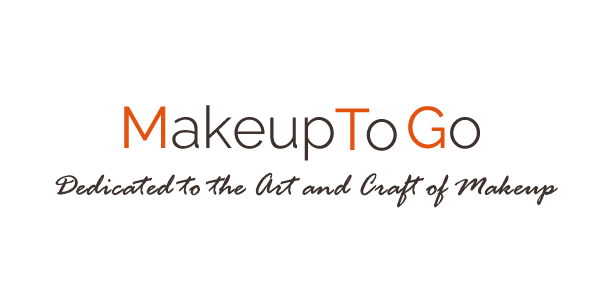 Bottom line while, yes, some products are obviously better than others, with the right tools pretty much any makeup can be applied seamlessly and flawlessly. I love my brushes. LOVE my brushes. In fact I wrote an ode to one of them when I lost it. That is how attached artists become to their brushes. Once you get used to using them and see how the right tool can change your makeup life, you too will be come attached. For this installment, I will be discussing purchasing brushes. Then in a future installment, I will talk about using them. Here then are The Basics Makeup Brushes. The type of hair and/or fiber used helps to determine how to use the brush, as does the shape and density of the hairs/fibers. The last two things I mentioned – the ferrule and the handle – have to do with the construction of the brush and how long it will last. The ferrule is the metal part between the hairs and the handle. High quality brushes have hairs that go all the way down the ferrule and are both glued and clamped into place, hence much less shedding. I was taught that you should be able to take a brush and pull at the hairs and if none come out you know you have a good brush. Everyone on the Planet makes a cosmetics brush these days. Some are amazing, some are very good and some are turrble. Here are some Pros and Cons of some popular brands I have tried, both “pro” and retail. Crown Brush – Crown is a manufacturer of brushes who offers professional makeup brushes online and at the trade shows. PROS: Crown Brushes are very cost-friendly. If you are a ‘baller on a budget’ Crown is a pretty good option. Also because they are very inexpensive price-wise, you can try a lot of different styles of brushes (different kinds of eye brushes, different kinds of foundation brushes, different kinds of powder brushes, etc.) and see what you prefer *before* making a larger financial commitment. CONS: I have had Crown brushes completely fall apart on me and/or shed like crazy. The hairs are short and glued in place so you have to be very careful as to how you wash them. If any water seeps up the ferrule and loosens that glue, it’s a goner. To their credit, when I tweeted that 5 Crown foundation brushes I purchased had all fallen apart in less than a month, someone emailed me and offered to replace them so they do have good customer service and stand by their products. Best Pick: AC011 Deluxe Double Sided Blender – a dual ended synthetic fiber foundation / concealer brush. 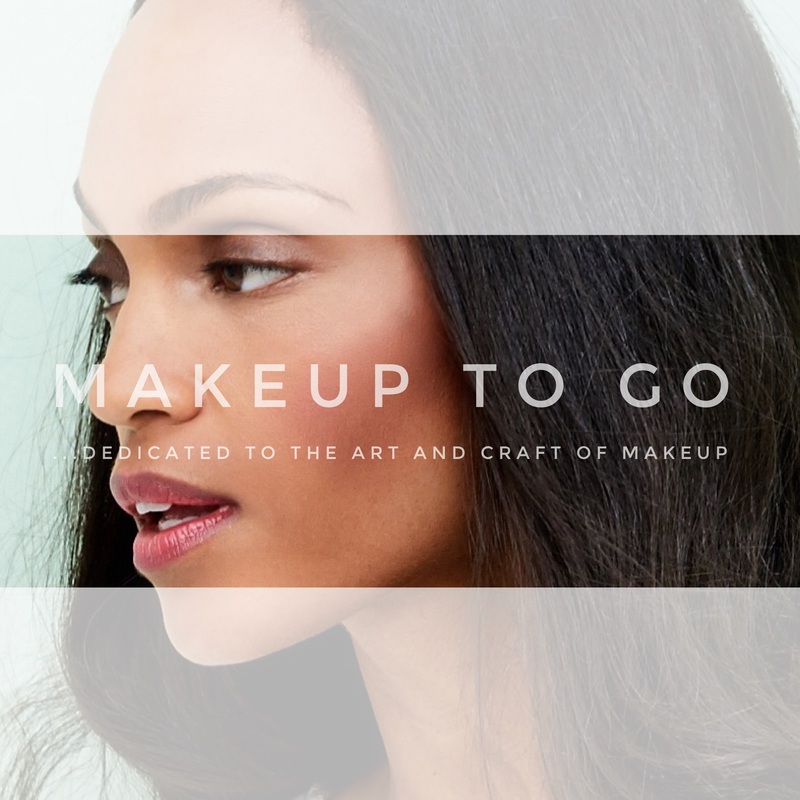 Smashbox Cosmetics – A lot of women know Smashbox from QVC but they’ve actually been in the Pro landscape for a number of years. Smashbox is a popular consumer-friendly brand and for good reason: they offer pro-driven, pro quality cosmetics at good prices. I have noticed that they’ve changed a bit and become a bit more consumer oriented since being bought by Estée Lauder, but so far the quality of the cosmetics themselves has not changed. As much as I love the brand, sad to say I do not love their brushes, as I have mentioned before. PROS: the Fan brush is great for cleaning away eyeshadow fallout, and has lasted well for several years. CONS: every other brush in the set I was given fell apart. That was a few years back so I do not know if anything has changed, but quality brushes will last you a lifetime. Let’s hope they have re-designed their brush line. Royal and Langnickel – Like Crown, Royal and Langnickel manufactures brushes (both fine art and cosmetic) and offers professional makeup brushes online, at the trade shows and at various Pro makeup shops if you happen to live near any of those.PROS: The SILK Pro collection line offers very good quality at a very good price. All of my R&L SILK Pro line brushes hold their shape well after multiple uses/cleanings, they all still feel good after multiple uses/cleanings, and I am experiencing very minimal/occasional shedding. They are also one of the few places I can get a tapered, natural-hair lip brush (my preference, gives me much more control over my application than most synthetic lip brushes do). CONS: Not all of Royal and Langnickel’s brushes are on the same level. As I said above I recommend the SILK Pro line of brushes. Last year, R & L introduced the Revolution™ brush line to their collection. Sad to say, but I’m not a fan. The Revolution™ brushes are a synthetic fiber brush line, presumably to capture the growing vegan brush market, but in my opinion, there are much better vegan options available. The couple of Revolution™ brushes I have felt odd to the touch initially, before I even used them, and then really changed texture after I washed them. I would definitely suggest trying a brush or two before committing to an entire set. Stila Cosmetics – Another popular brand that started in the Pro sphere (Stila was founded by artist Jeanine Lobell) and has become popular amongst consumers via QVC, Stila has long been known for making very good brushes. PROS: Good construction and overall quality materials used. Made to last. CONS: I, personally, am not a fan of the retractable brushes. I would stick to the original, long-handled brushes. Best Pick: #9 All Over Blend Brush Stila’s legendary crease/lid blending brush. Esum Brushes – Esum as far as I am aware is a relatively new entrant in the brush world but I have to say I LOVE them. They are the brush line of Muse Beauty Pro which is a beauty store & education resource out of San Francisco (my NYC makeup artist friend Margina Dennis had to point out to me that Esum is Muse spelled backwards. D’Oh! ).PROS: Quality construction and materials and the brushes are also – in my opinion – very lux in appearance. They also feel good in-hand. CONS: Decided price increase from the previous brands I have mentioned. Yes my friends, really good brushes are quite pricey. 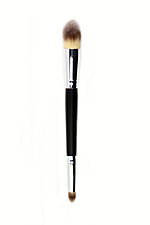 Best Pick: W35 Large Round-Angle eye contour brush – can be used for crease or all over the lid. NARS Cosmetics – If you read Makeup to Go with any regularity, you know I could go on about All Things Nars. PROS: Generally speaking, Nars tools are excellent. The three stand-outs are the three Japanese brushes NARS has; the Ita Kabuki, the Yachiyo Kabuki, and the Botan kabuki brushes. These all have very unique shapes designed to various fulfill specific purposes. CONS: The travel brush set retails for $75, the individual brushes range from $21-$75. They are excellent brushes, so if you can afford them, get them. However, they are a financial commitment and some of the designs are not the most consumer-friendly in terms of “How do I use this?”. Best Pick: Yachiyo Kabuki Brush #27 – It will change the way you apply blush (if memory serves, Shu Uemura had a brush like this at one time, and see note below about Hakuhodo). Shu Uemura – the first time I walked into a Shu store early in my career as a makeup artist, it changed my life. The entire perimeter of the store was filled with rows and rows and rows of the most amazing and gorgeous brushes I’d ever seen. Changed. My. Life. 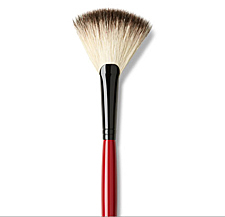 PROS: You will never encounter a brush more exquisite than a Shu Uemura brush, period. CONS: When Shu Uemura USA was bought out by L’Oreal, they closed all the Shu Stores leaving only the website behind to buy product in the US, and they radically changed the product line such that many of Shu’s best are no longer available here. Quel dommage!! 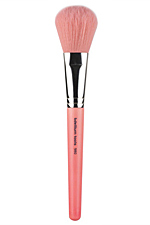 Best Pick: 20h Natural Brush – an angled powder brush for highlighting, contouring and shading. Best Pick: S103 Pointed Powder Blush brush, J104 Round Powder brush. NOTE: Hakuhodo also has traditional Japanese brushes which means they have Yashiyo & Ita design brushes like NARS, and Hakuhodo has them in different sizes. Vegan brushes are becoming increasingly popular. I do not mind admitting this is an area of internal turmoil for me because I am a vegetarian. So the veg in me would like to switch to an entirely cruelty free brush roll someday. The makeup artist in me, however, needs brushes to perform the way I need them to perform and thus far, natural hair is still the winner, in my opinion. That said, there are more and more good alternatives coming out regularly. Obsessive Compulsive Cosmetics – David Klasfeld, the founder of OCC Makeup is vegan but also a makeup artist so he knows how brushes need to perform, and it shows in his brush line. These are by far the most hair-like vegan brushes I’ve tried so far, and the brushes apply makeup pretty darn close to the way natural hair brushes do across the board. Kudos to OCC Makeup for this great brush line. PROS: Very close to the performance of natural hair brushes, I particularly like the lip brush. CONS: n/a – I think it’s the best of it’s kind. Bdellium Tools – I haven’t gotten to play with this line as much as I’d like yet, but so far everything I’ve tried has been quite good and they have a moderate price-point (about the same as Royal & Langnickel) so they are affordable. They make both traditional and Vegan brushes, and I have – and like – some of both. PROS: Speaking specifically of the Vegan brushes- the Bambu series as they are called – they do not feel quite as hair like as the OCC brushes, however they do pick up and distribute product well. The handles are also made of sustainable Bamboo, which feels good in-hand and which is great for the environment. And as with all of the Bdellium Tools I’ve tried thus far they are well constructed. CONS: And this is a big one for me: Why are all the fibers colored???? There are 3 different Bambu series; Green, Yellow and Pink. Why is this necessary? I don’t mind if the handles are colored but having the fibers in different colors is an extreme turn off to me. As I said at the start, this lists a selection of what’s hot on the e-streets and my own personal choices. That said there a couple of brush brands, in particular, that have served legions of women for many years, and those are Bobbi Brown Cosmetics brushes, and Trish McEvoy brushes. Both lines have been around since forever, and were amongst the first to bring professional quality brushes to the masses. I do not have either brand in my kit, but I know artists who do and have done so for years. Both brands are a bit pricey, Trish McEvoy particularly so, but they are the kind of brushes you buy ONCE and then you’re set for makeup life. I recommend both to my private clients frequently. They are both great for the client who wants to buy one, complete, easy-to-use set of brushes and never think have to about brushes again. © 2013 – 2016, Tania. All rights reserved. Great post. I am undecided between the Nars #27 and Shu Uemura for blush. What do you recommend if I can only get one? Well, as it turns out I have the Yachiyo #27 from NARS, and the #20 Blush Brush from Shu Uemura. They lay down color very differently due to their designs; the Yachiyo I’d say lays down color more gently and diffuses and blends more and the Shu is more like a traditional Western blush brush. In terms of brush construction, I’d give the edge to Shu. They make exceptional quality brushes.